Weighing in at 157 pages and 85,000 words, the new European IVD Regulation requires serious concentration for regulatory professionals. We’ve made this daunting task a little easier by adding a fully linked, easy-to-navigate Table of Contents to the IVDR.Just download the PDF and save it to your desktop for quick reference. Inside the EU IVDR (2017/746), you’ll find quick links to every Chapter, Article and Annex. 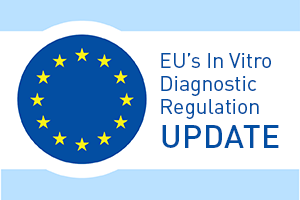 If you are new to IVD regulation in Europe (or even if you are not), you may want to consider our three-day immersive training class on the IVDR changes. Annex VI Information to be submitted upon the registration of devices and economic operators in accordance with articles 26(3) and 28, core data elements to be included in the UDI database together with UDI-DI in accordance with Articles 25 and 26 of the UDI system. Need help understanding the EU IVDR changes and creating a transition strategy? The Oriel STAT A MATRIX team of IVD specialists can assist you with a variety of issues related to the new In Vitro Diagnostic Regulation. This includes IVD classification, gap assessments, IVDD to IVDR transition strategy, technical documentation, clinical data, risk management or ISO 13485 implementation. Please contact us to let us know how we can help you!